Custom Conveyors is pleased to announce that they have entered into an agreement to be the Northeast dealer of IMS Track Conveyors, Belt Feeders and Mobile Screen Plants. IMS offers track conveyors built with the highest of quality in 65', 80' and 100' lengths all with 42" belt for more product through-put then the competition. 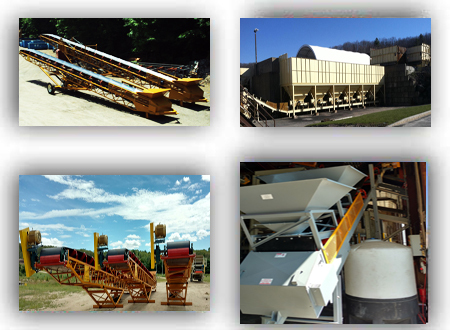 Click Here to view available Track Conveyors. Call for pricing. CUSTOM CONVEYORS & FABRICATION, INC (CCF) offers conveyors and steel fabrication to meet any application. From stacking and truss conveyors for the aggregate industry to conveyors for recycling and industrial applications - we have the expertise to meet any requirement. To see some of our equipment in operation click on the Video Links.